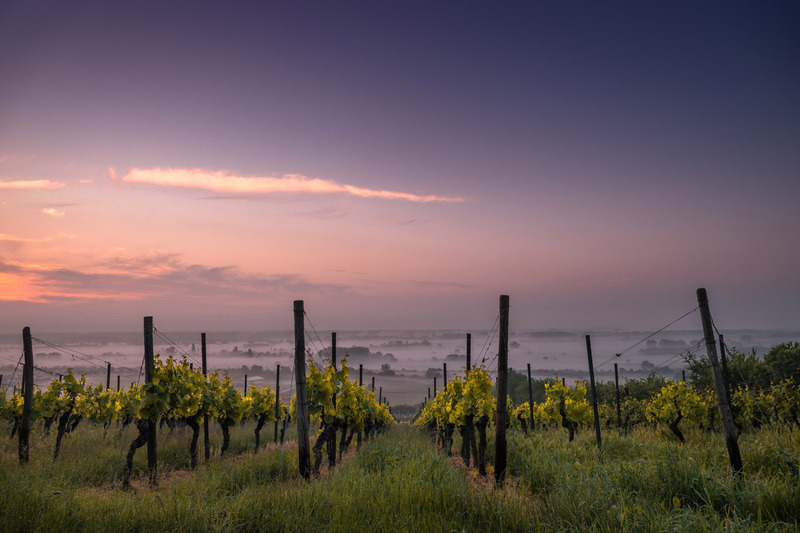 Easily accessible from the city, grapes are grown in Kumeu, Henderson and Huapai. Most planted are Cabernet Sauvignon, Merlot and Chardonnay, followed by Sauvignon Blanc, Semillon and other whites. And since the 1980s, Waiheke Island in Auckland Harbour, has produced planted and now produces high quality reds. The second largest wine region, established well over 100 years ago. Varied soil types provide a variety of wine types in the wide-spread region around the art-deco city of Napier. Chardonnay is most widely planted but with long sunshine hours, a high percentage of red varieties are grown such as Cabernet Sauvignon, Merlot, Cabernet France, Syrah and Pinot Noir. At the southern end of the North Island, the main district is Wairarapa with Martinborough the center, known for its Pinot Noirs. Vines were first planted here, around the small town of Blenheim, in the north of the South Island, in the 1970s. 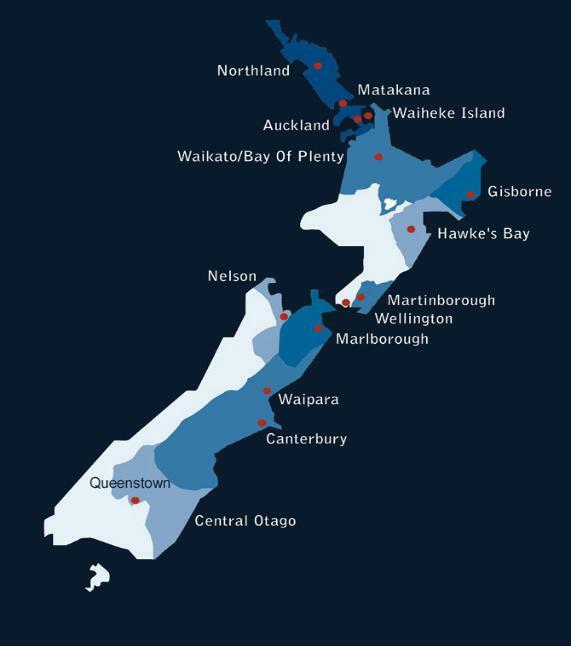 The region has quickly grown to be New Zealand’s largest wine region, producing distinctive wines, particularly Sauvignon Blanc, and more recently Methode Traditionelle sparkling wines as well as Pinot Noir and Reisling. High sunshine hours and two river valleys provide great growing conditions. This artistic area just west of Marlborough also produces stylish wines. Grapes are grown around the Waimea Plains and in valleys between the hills. Situated in the north of the South Island, mountains to the west provide protection while the coast moderates the temperatures. The region has two main wine areas, Waipara just north of Christchurch and the plains surrounding the city, and is the New Zealand’s fourth largest wine region. Long summers, good sunshine hours and cool conditions with Chardonnay and Pinot Noir the most planted, followed by Riesling grapes. The world’s most southerly wine region, and New Zealand’s highest, one wine maker’s slogan is ‘wines with altitude’! The main town is Queenstown. With a continental climate and pure mountain air, Pinot Noir is the most planted grape variety.